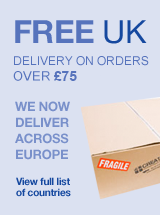 Olympic Kilns are now exclusively available in the UK at Creative Glass Guild. Now taking orders for Early September 2017 deliveries! 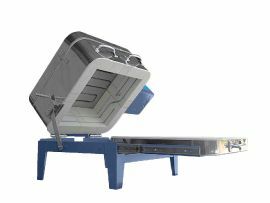 Model - Olympic Fuser 14 Slider - with unique pull out sliding bed - an innovative Glass Fusing and Slumping Kiln. Flat-bed clamshell access plus the unique 'Slider' design giving better access for loading the kiln without having to lower items into the kiln. The lid lifts up then the bed slides forward - simple and very effective! Fires to 925 Celcius (1700°F). Free Starter Pack; 2x Shelves, set of posts, 2 sq. ft of ceramic paper and a bag of shelf primer to get you fired up! These kilns are great for the home studio, and will undertake fusing, slumping, painting and staining, PMC and even bead annealing (off mandrel). Glass fusing kilns are used for fusing and forming of glass shapes and heat-treating. 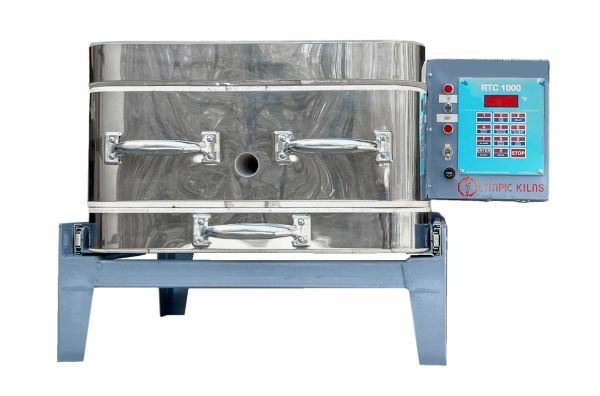 240 volt glass fusing models are equipped with a lid element for the fusing segment of the glass firing and body elements for the ramping up-down and annealing segments of the firing. An infinite switch controls the intensity of the heat coming from the lid element. 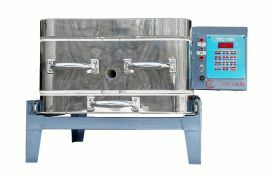 If the switch remains in the OFF position, only the body elements will heat the kiln. If the infinite switch is turned to the High position, all elements, both body and lid, heat at the same intensity. The kiln operator may choose to lessen the intensity of lid element by turning the switch down. 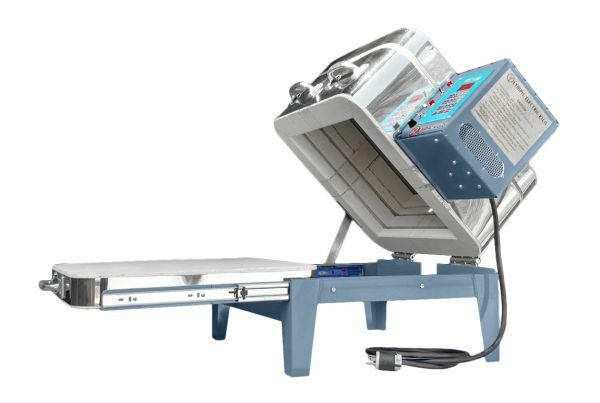 Models come equipped with pilot light, 18” tall metal stand or frame, stainless steel jacket, and electronic controller with fully programmable ramp-hold programming. The 12 key digital RTC-1000 controller for more ramp-hold user programs and multiple features including delay start, preheat, skip step and many more for precise firings every time. Messages and information are available for reviewing a firing profile before or during the firing, and for viewing the current segment the firing is in. 240 volt glass fusing kilns come equipped with pilot light, a tall 18” metal stand or tall 18" frame, stainless steel jacket and included in the kiln package are peephole plugs, lid wedge, instruction manuals, warranty card. The Olympic Fuser 14 Slider includes an upgrade to the 12 key digital RTC-1000 controller, for the fuser this means scope for more ramp-hold user programs and multiple features including delay start, preheat, skip step and many more for precise firings every time. The FREE Furniture Kits for Olympic Glass Fusing kilns provide 2 shelves, assorted small square posts, 1” x 1”, for models 18” wide or smaller, 2 sq. ft. of ceramic paper, and a 454g (one pound) bag of kiln wash. Legs are also included. Single phase UK 13A plug fitted. Outside dimensions including stand 28" x 25" x 33"